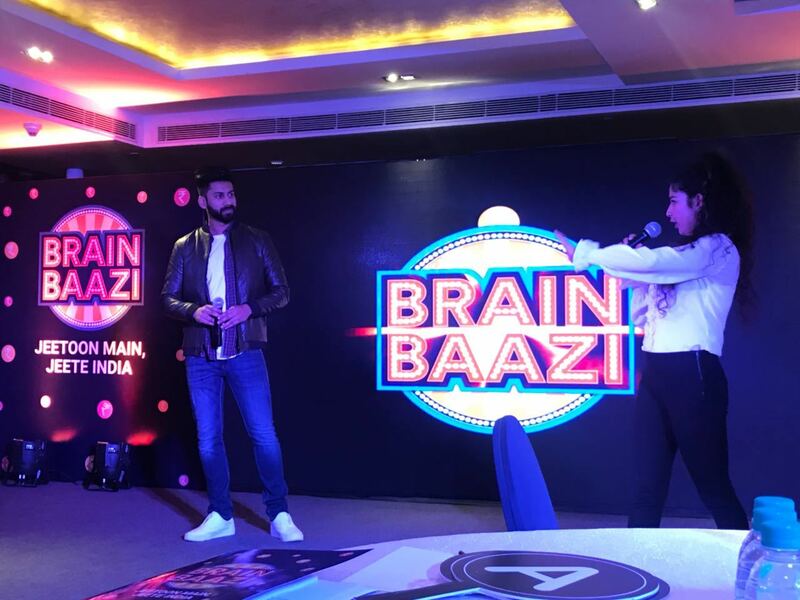 The excitement of participating in a Live quiz show and winning a cash prize everyday can’t be matched with any other gaming app and Times Internet Limited has tapped the opportunity with BrainBaazi. The addictive Live quiz show app was released today, Feb 7th at The Lalit, New Delhi. The game is available on Android phones currently but the Apple version will soon be launched. At the launch, the audience was given an Android smartphone to play the game and experience the thrill. You have to put on the volume to listen to the quirky hosts of the show. The game goes live everyday at 1PM and you will have to log in on time or else you will not be able to participate. The live anchors who conduct the quiz ask 11 questions and if you answer all 11 correctly, you are eligible win the cash prize. The prize is a large amount, for the launch, the sum was ₹50,000 and the amount is supposed to be divided equally amongst the winners. So if there were 10 winners, each would get ₹5000. As the users increase, the amount will also increase. Mr Gautam Sinha, CEO of TIL, said he expected it to be 10 times as much! Each question has three options, and you only have 10 seconds to answer. It reduces the chances of cheating as it’s impossible to Google an answer that fast and even if sitting with friends chances are you might not be able to get an answer you don’t know fast enough. In case you miss a question you won’t be allowed to play further. However, there is a provision of earning extra ‘lives’ and stay in the game. You earn these lives by referring others to play the game(both parties would get a life). However you can only use one life per game. The game starts with deceptively easy questions but get difficult as we progress in the game. From the first one asking which river goes through Delhi to the last one asking the Roman name of the Greek God Poseidon, the game at the launch was super fun. One of the USPs of the game is that you are playing it along the live users across the country. Over 2500 people were playing it live at the launch. The host reads out the questions live and also updates on how many people could get the right answer so as to keep you guessing the number of people the cash prize will be divided into. The money is instantly transferred to the e-wallets of the winners and their names make a victory march across the screen. Lakhs of Indians are winning Rs.50,000 by just playing a simple game!